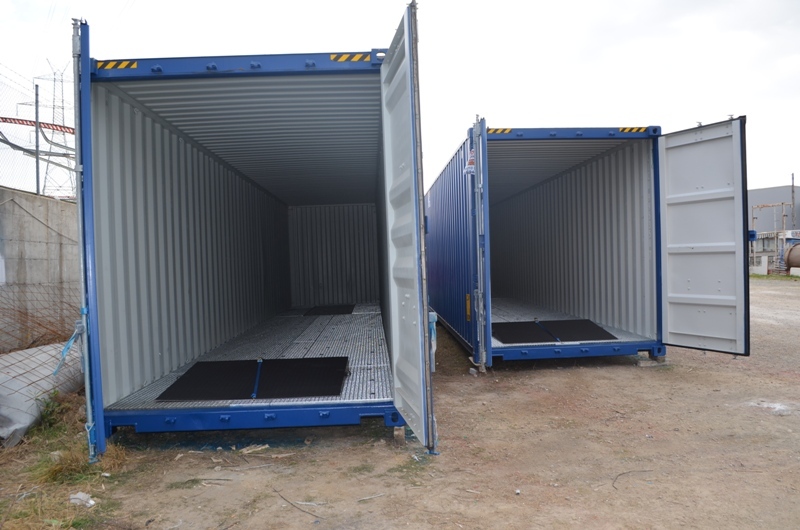 This construction is suitable for storage of liquid cargo in pallets. 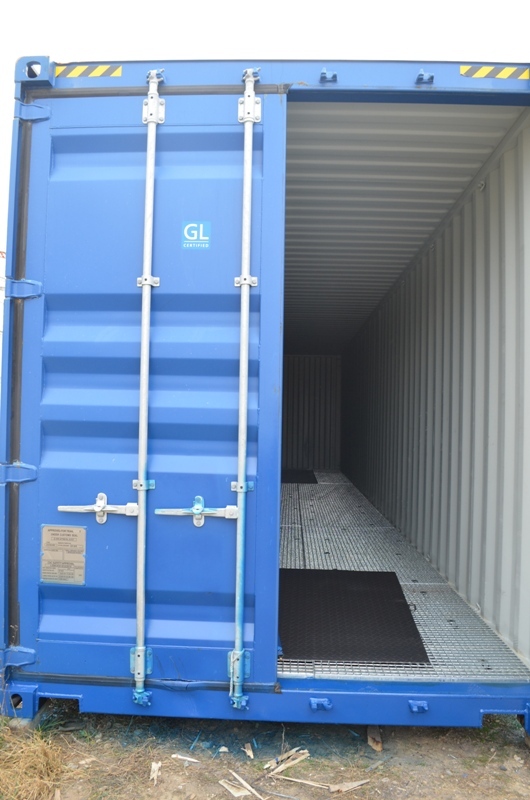 Suitable for all container types. 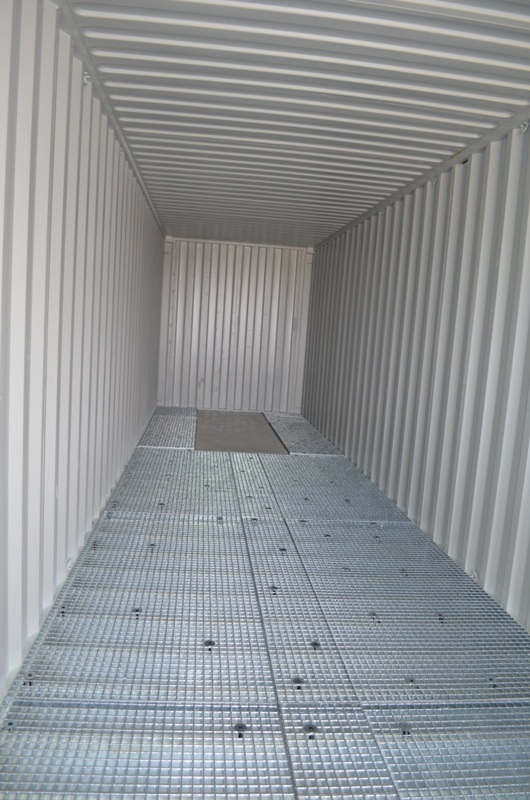 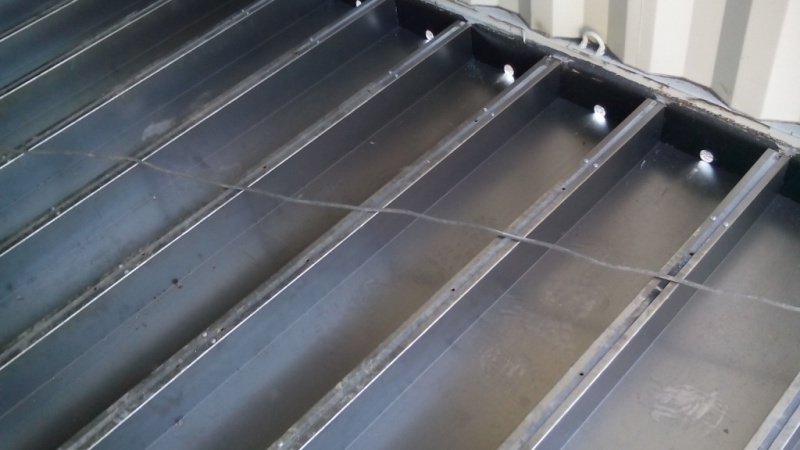 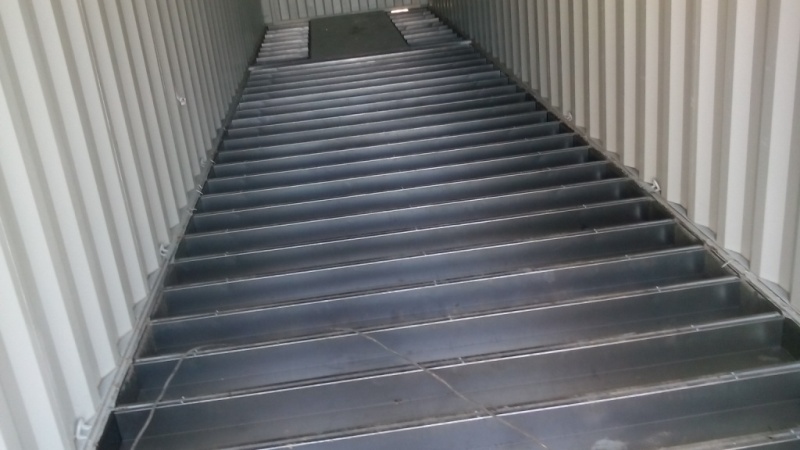 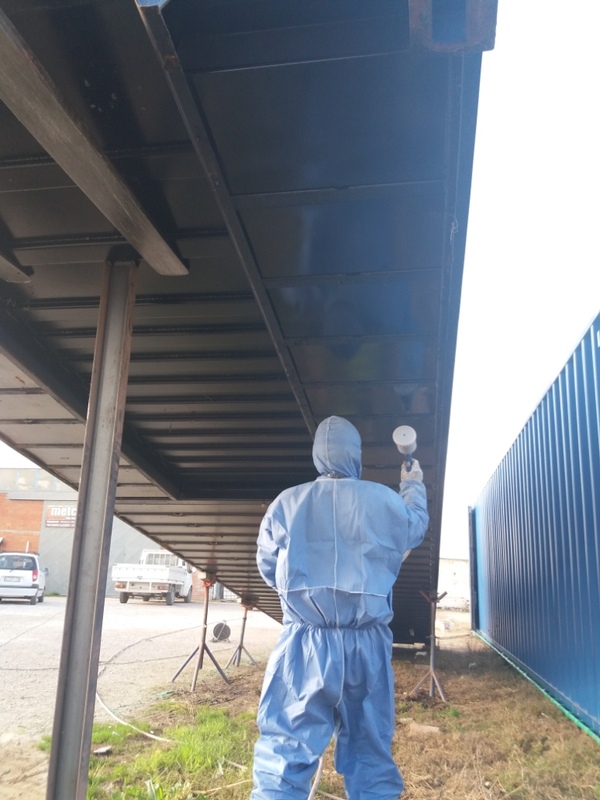 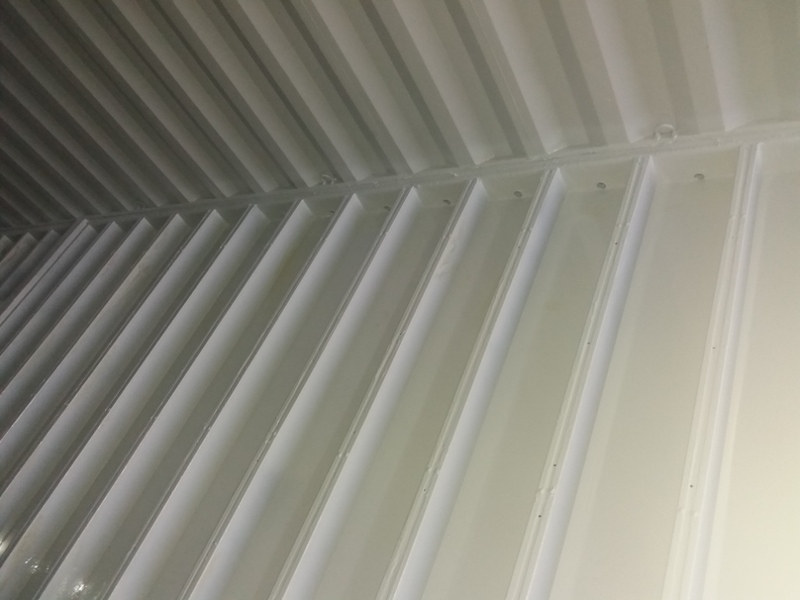 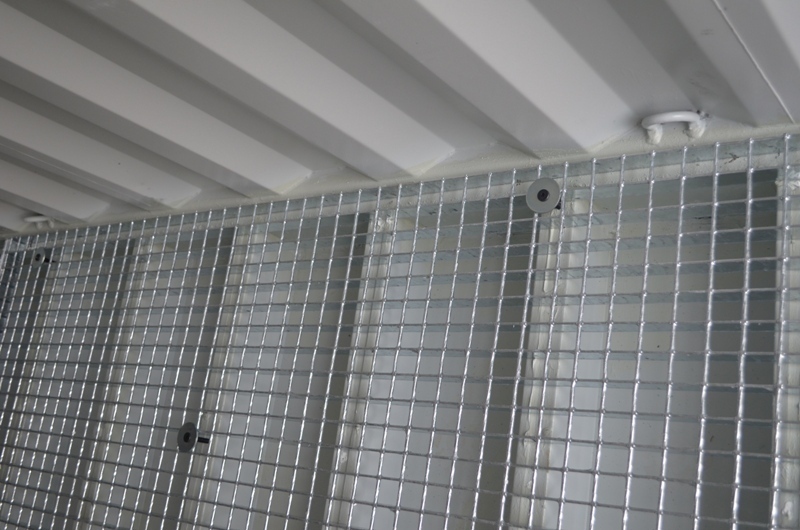 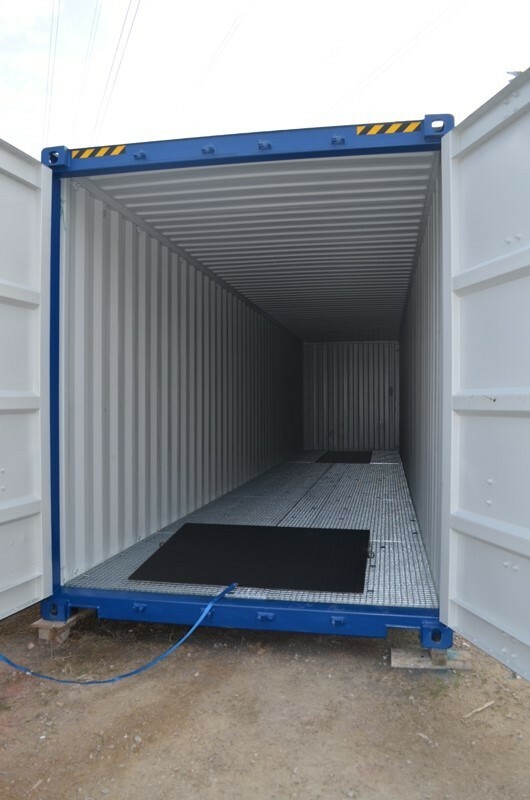 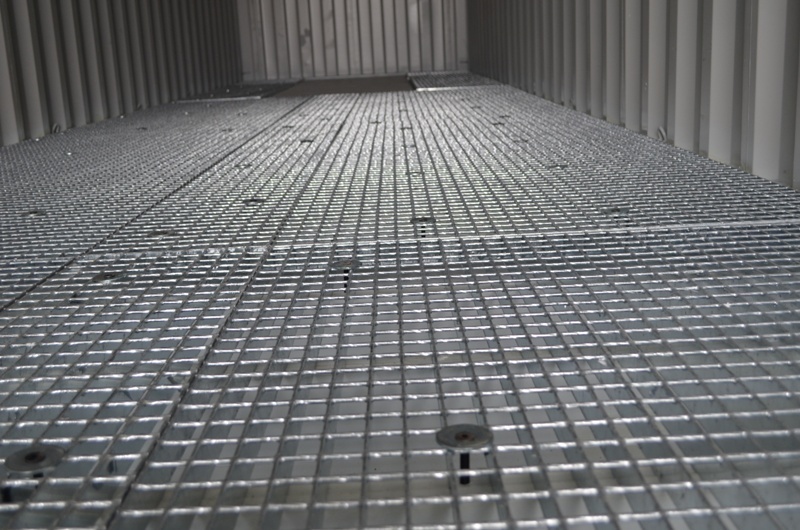 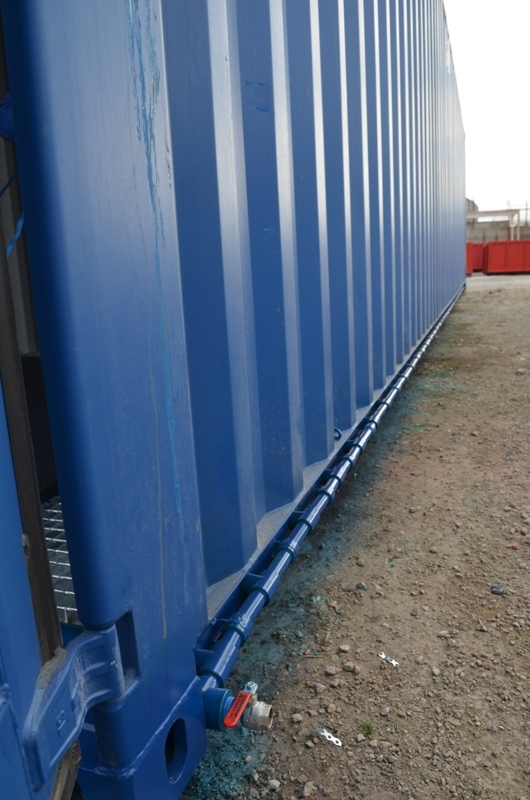 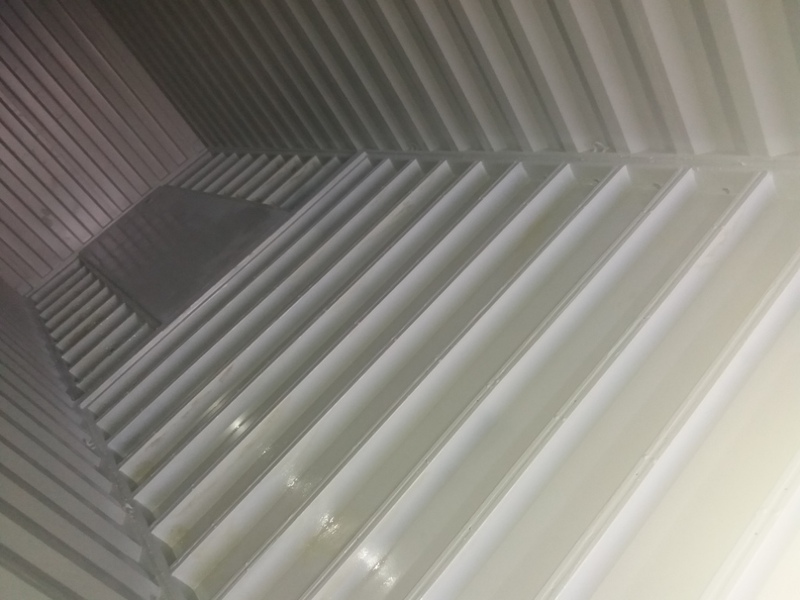 The floor of the container has been covered with special safety basins and grids. 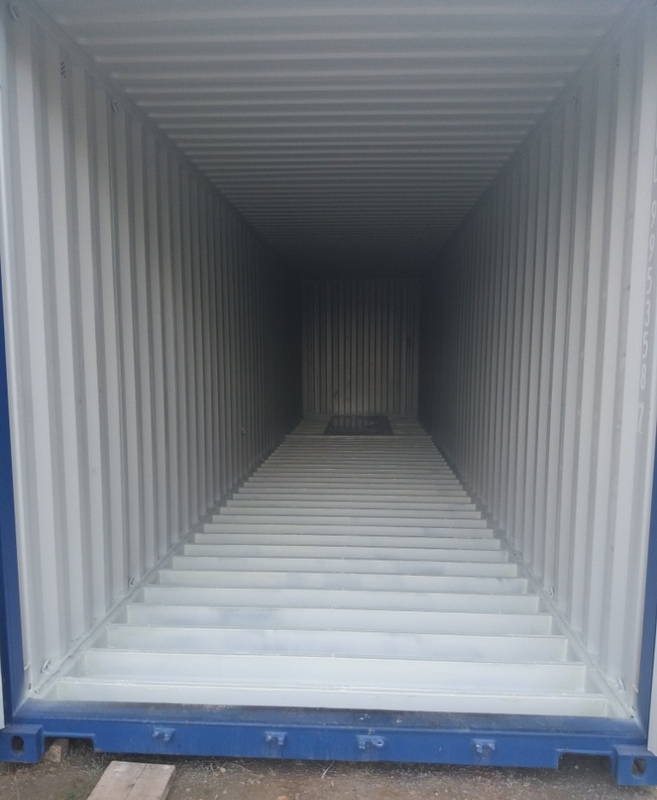 In case of leakage of dangerous or non dangerous cargo, the commodity will be released via the pipe, which is located outside of container.